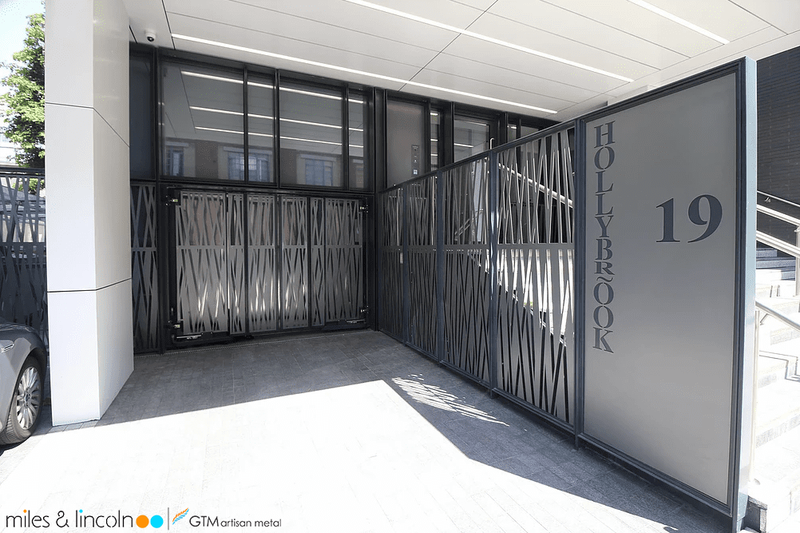 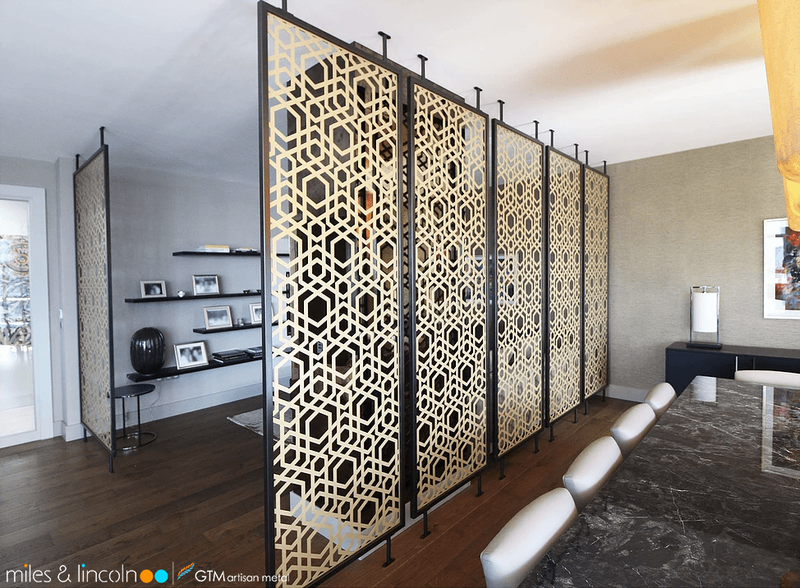 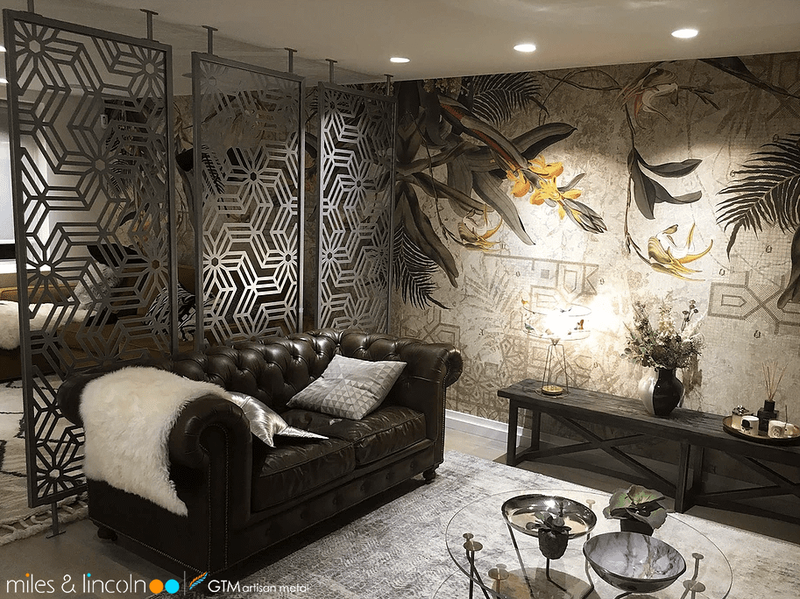 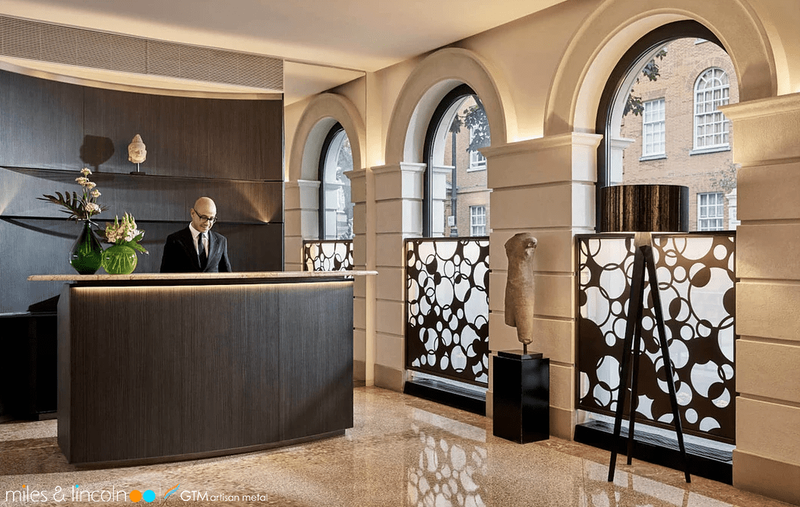 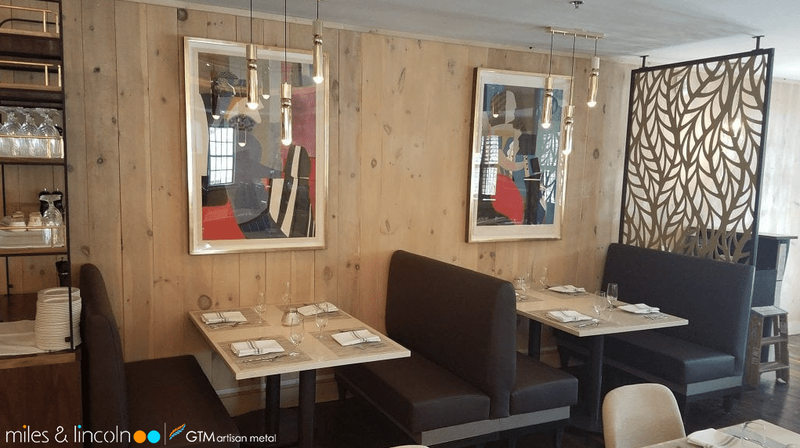 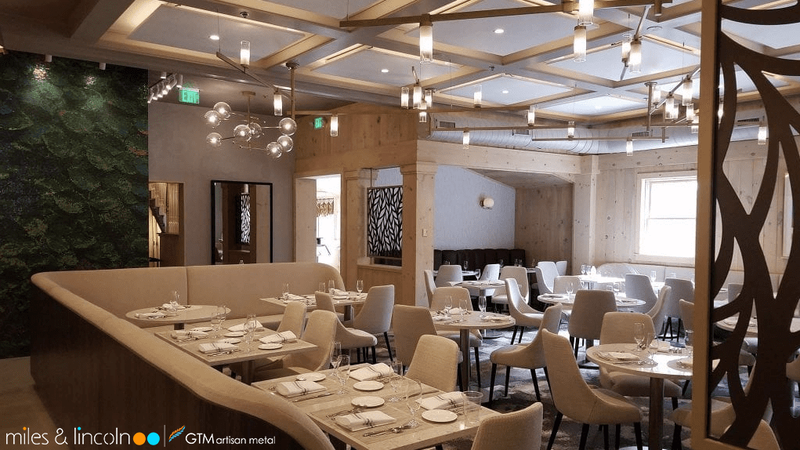 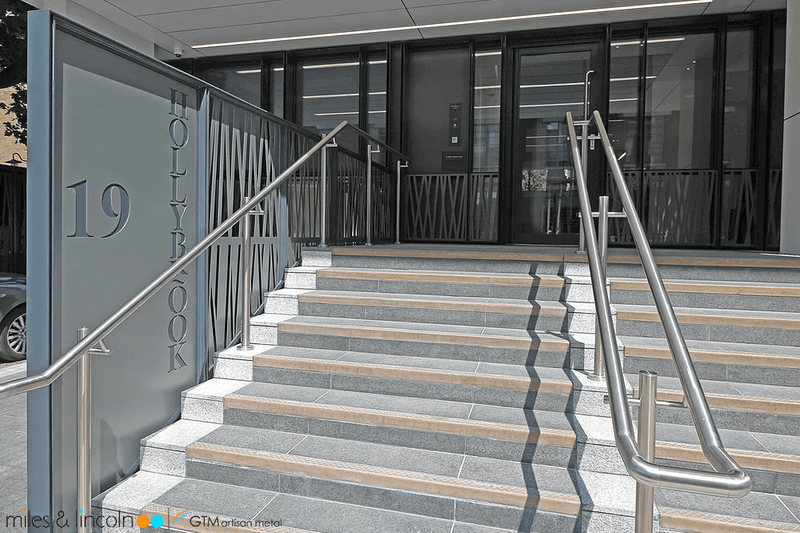 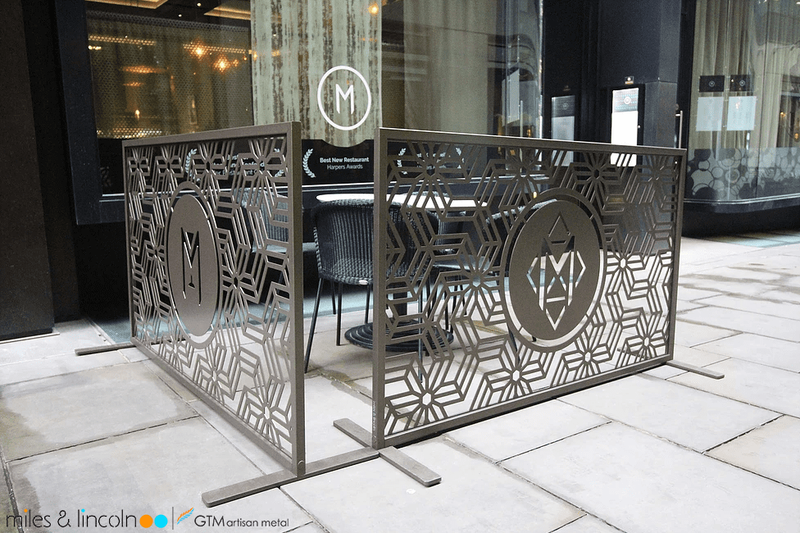 GTM Artisan Metal offer laser cut screens in elegant slim line aluminum frames, powder coated in a range of bronzes, brass, copper, pewter, silver and quartz colors. 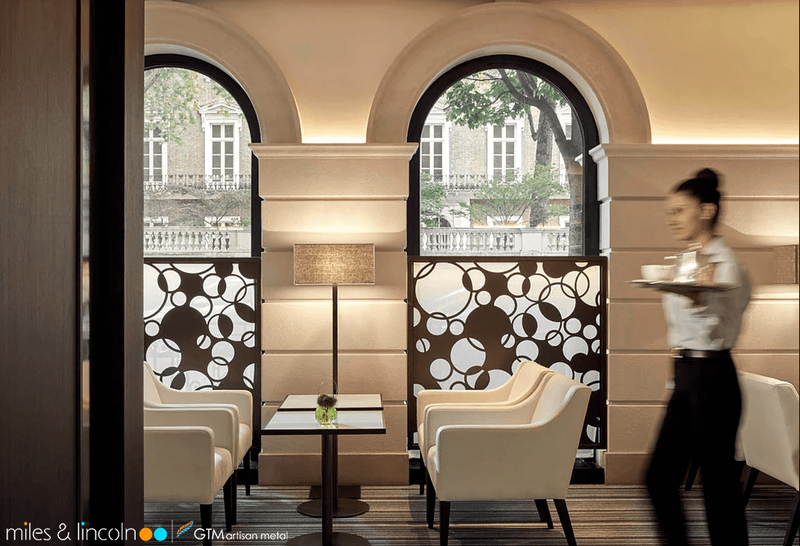 Framed space dividing screens are provided with adjustable pedestal feet which compensate for any irregular floor to ceiling dimensions. 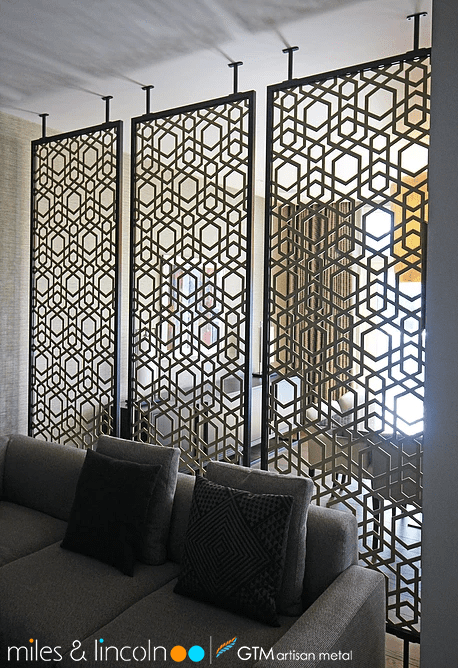 This enables a fast installation at minimal cost. 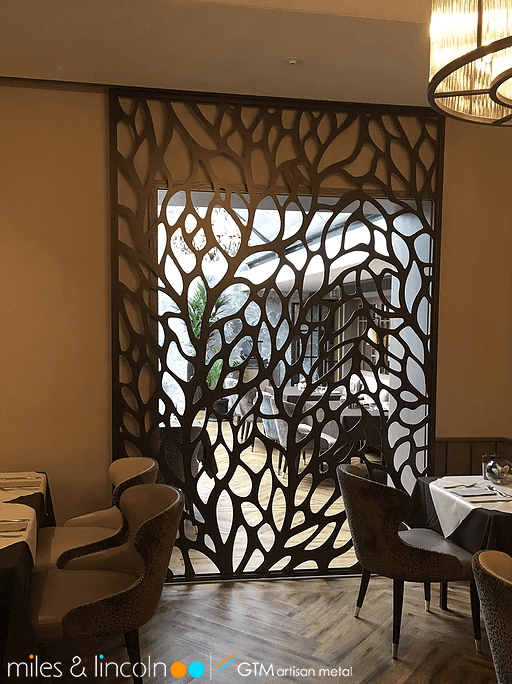 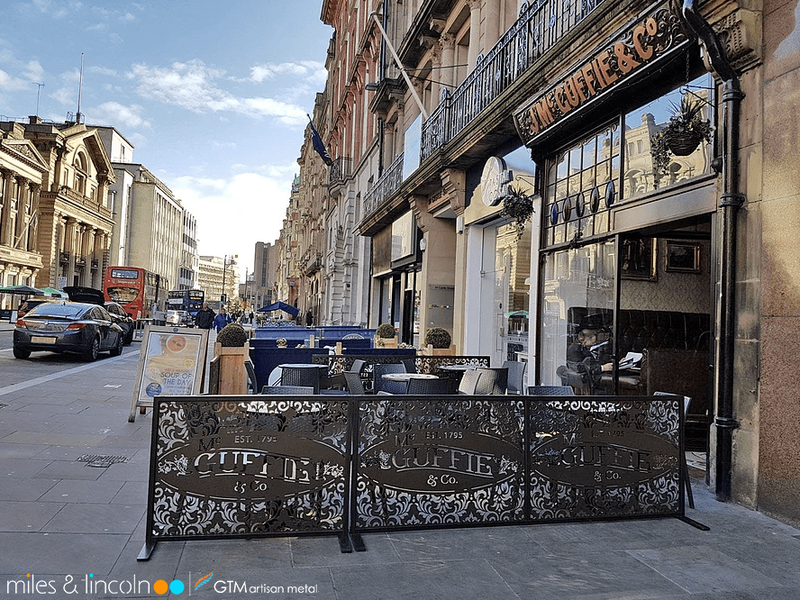 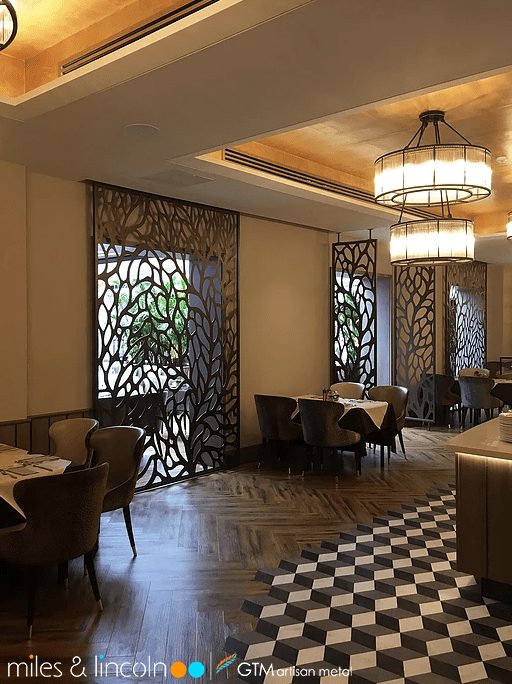 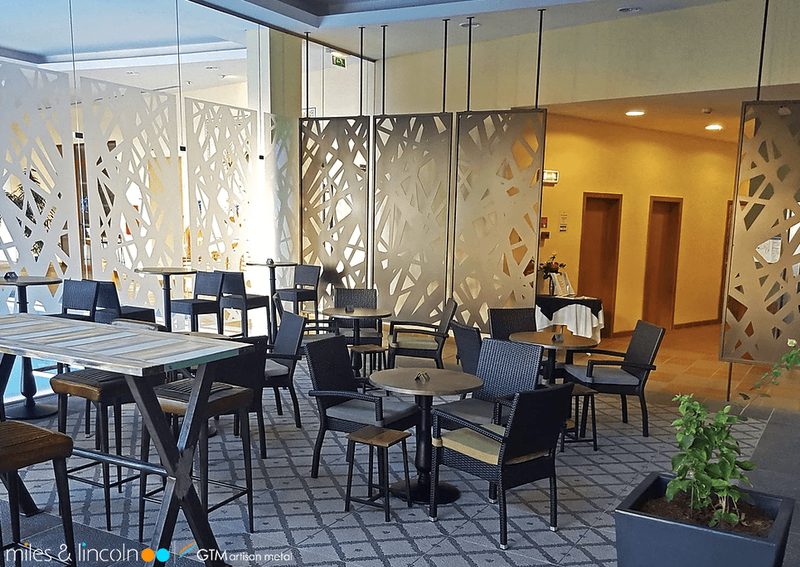 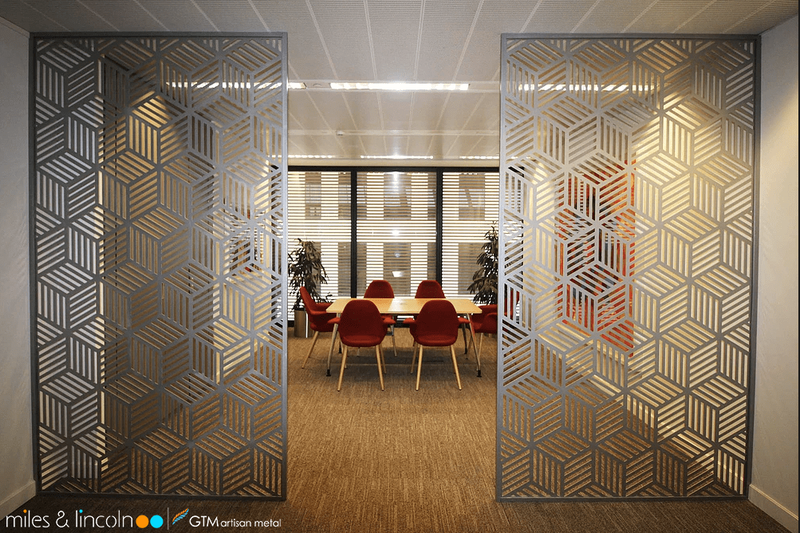 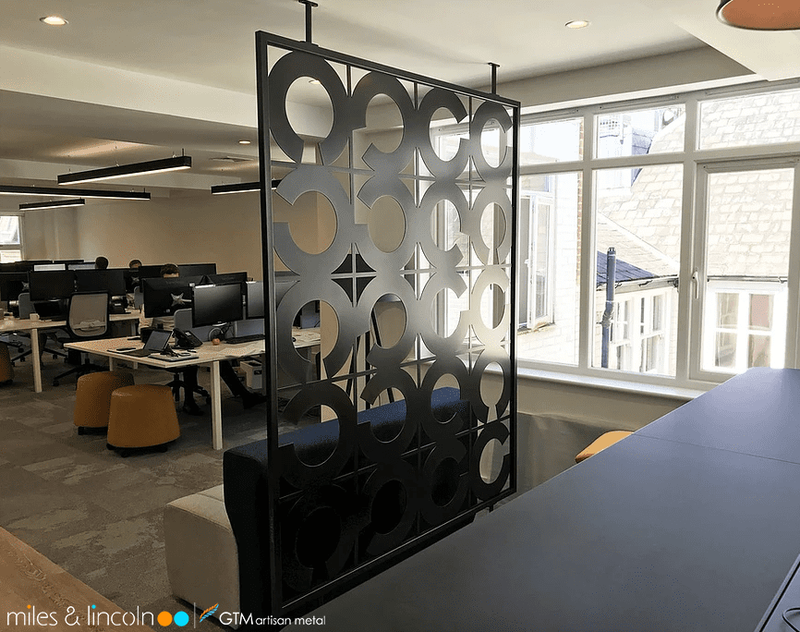 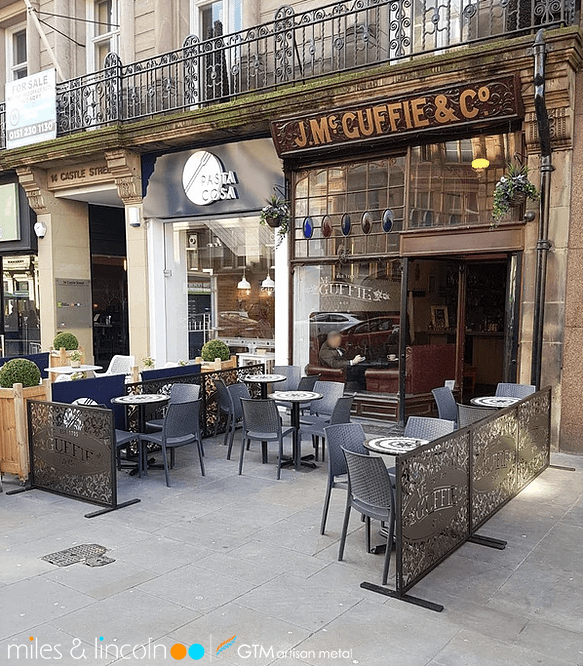 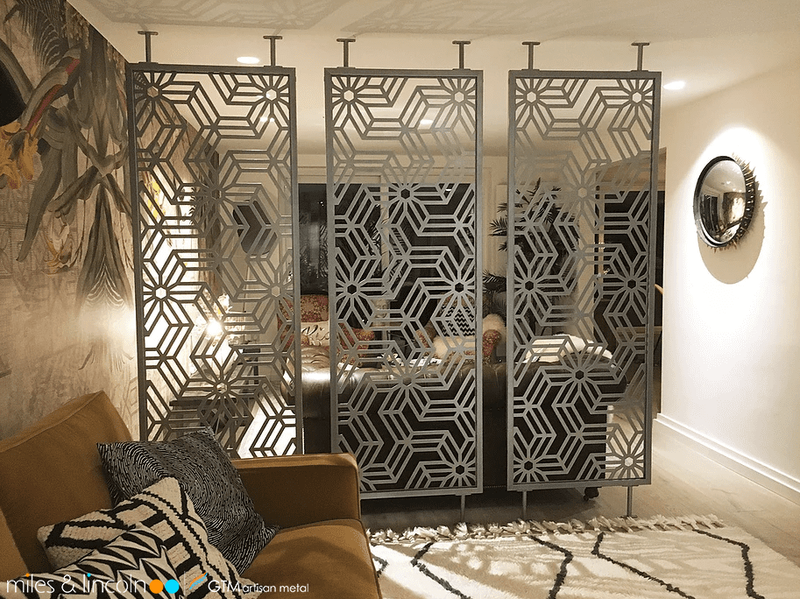 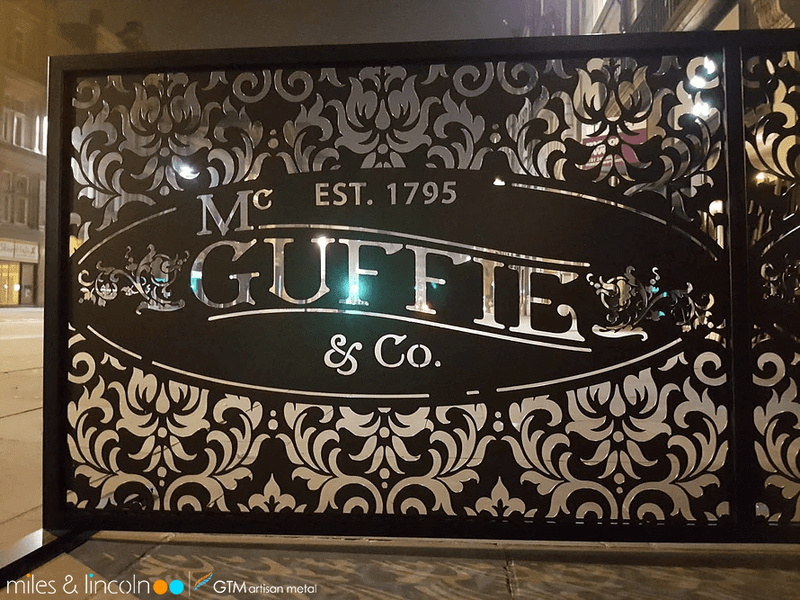 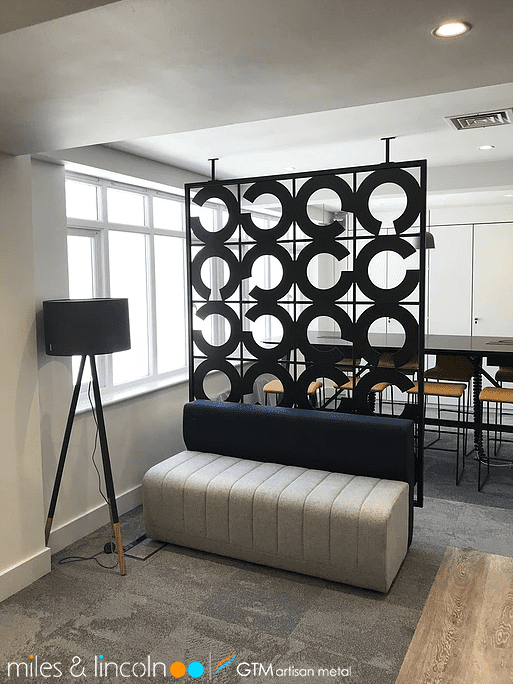 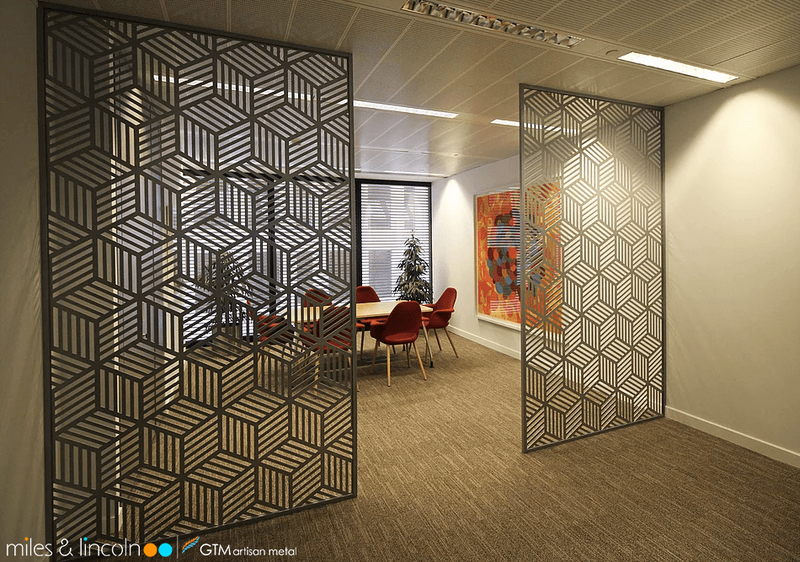 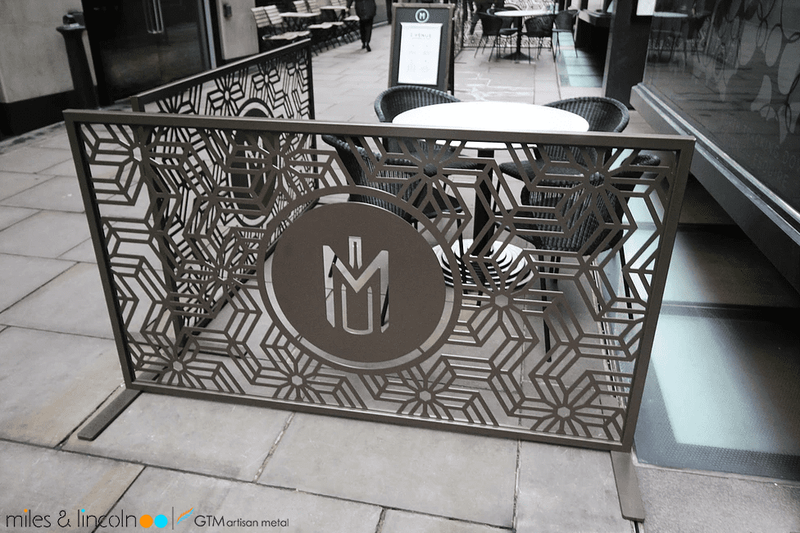 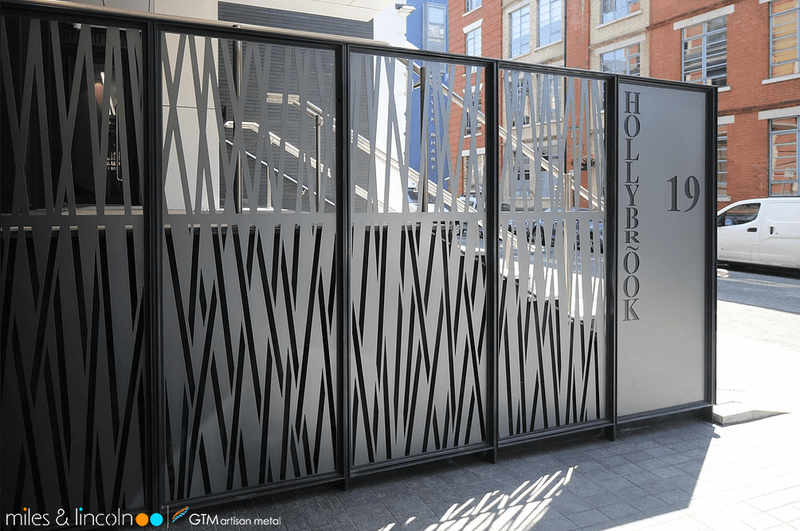 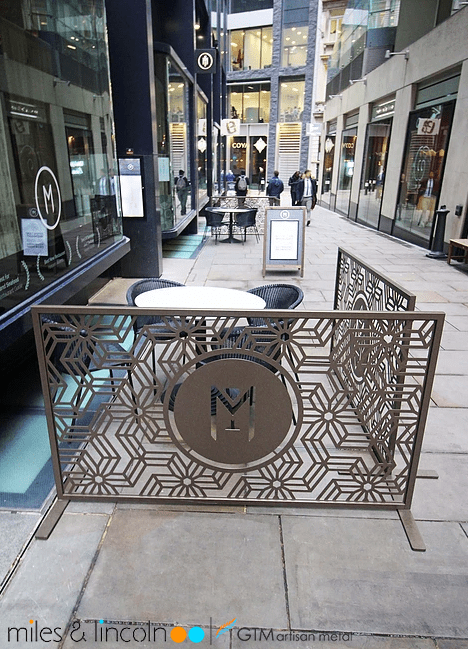 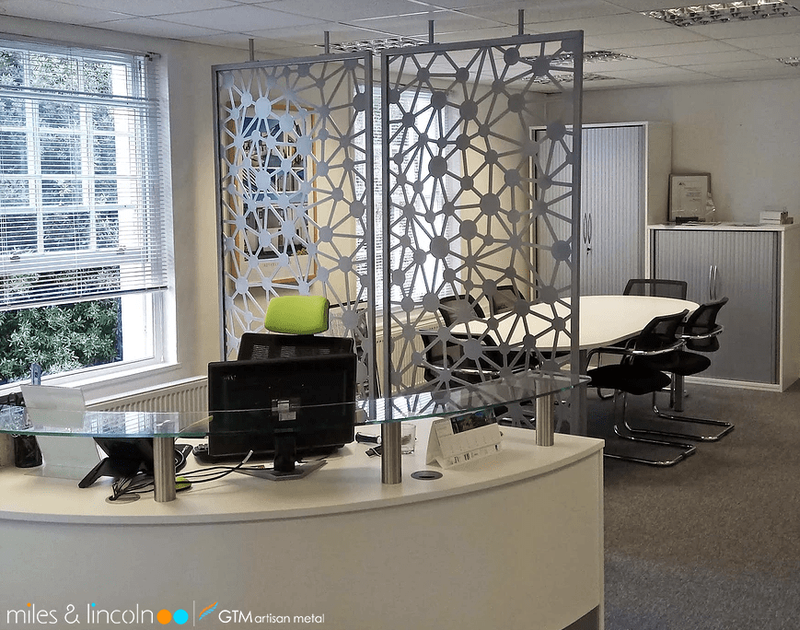 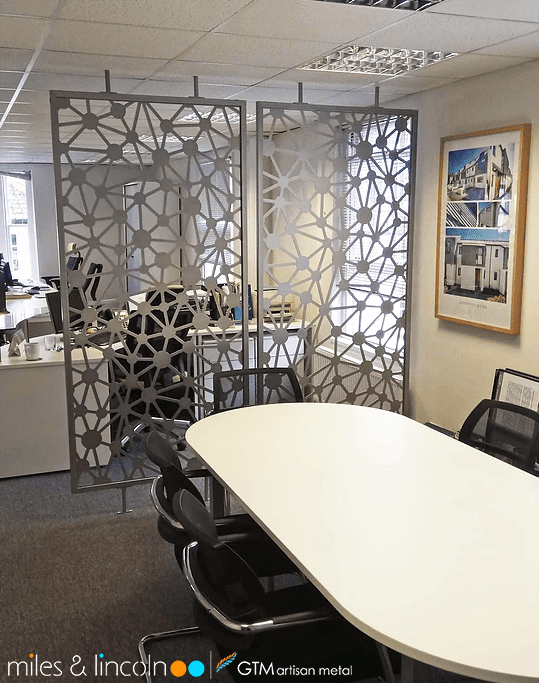 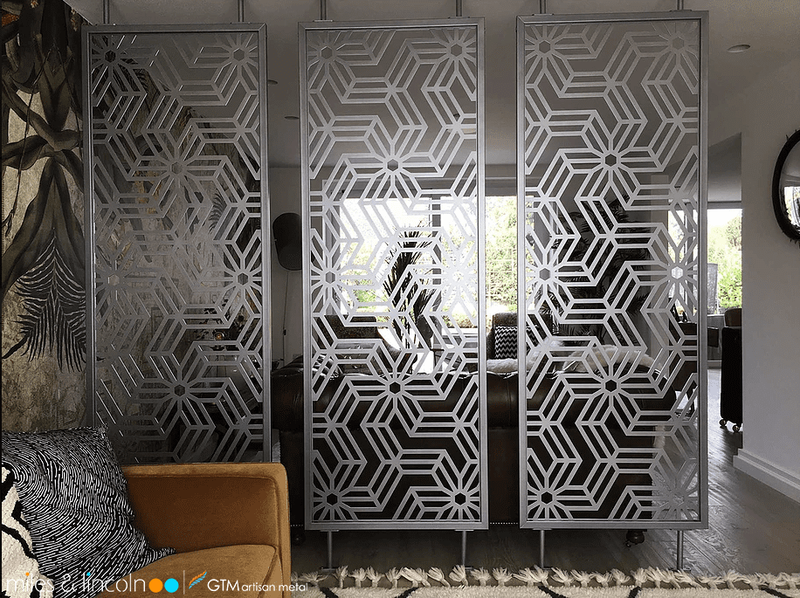 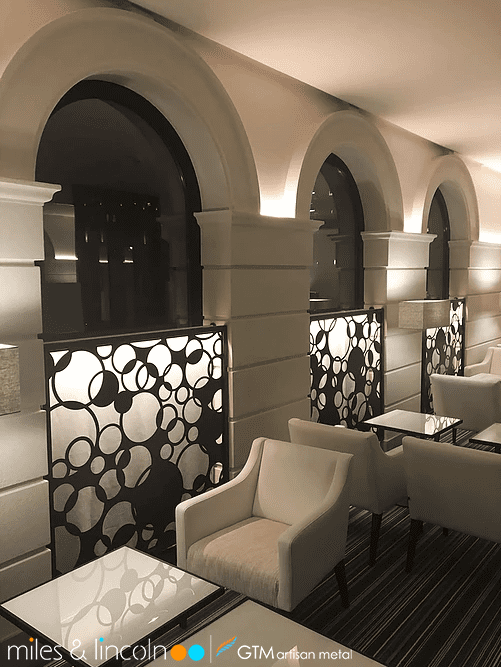 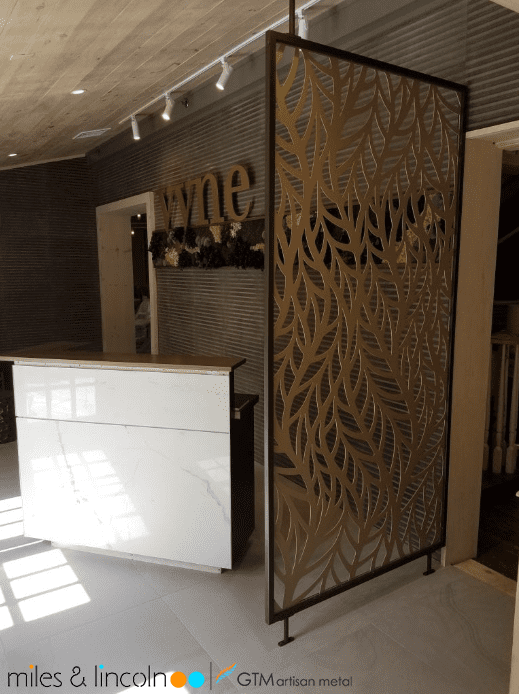 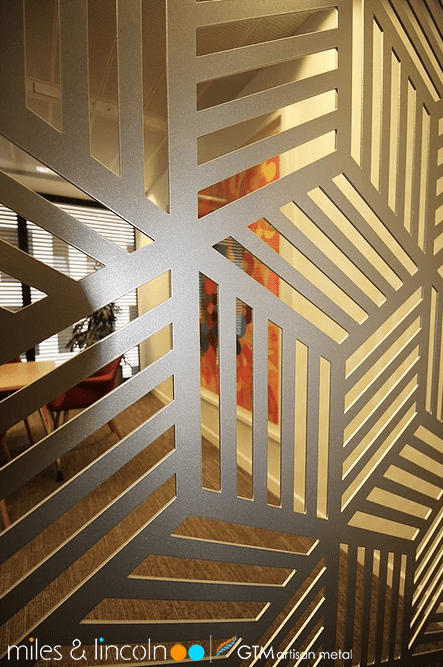 Moveable laser cut screens with frames are also available with an elegant weighted base allowing easy re-positioning to allow creative use of space in office, dining or pavement seating areas.